Bjarnadóttir K, Benkhoucha M, Merkler D, Weber MS, Payne NL, Bernard CC, Molnarfi N, Lalive PH. B cell-derived transforming growth factor-β1 expression limits the induction phase of autoimmune neuroinflammation. Sci Rep. 2016; 6:34594. doi: 10.1038/srep34594. Studies in experimental autoimmune encephalomyelitis (EAE), a murine model of multiple sclerosis (MS), have shown that regulatory B cells modulate the course of the disease via the production of suppressive cytokines. While data indicate a role for transforming growth factor (TGF)-β1 expression in regulatory B cell functions, this mechanism has not yet been tested in autoimmune neuroinflammation. Transgenic mice deficient for TGF-β1 expression in B cells (B-TGF-β1-/-) were tested in EAE induced by recombinant mouse myelin oligodendrocyte glycoprotein (rmMOG). In this model, B-TGF-β1-/- mice showed an earlier onset of neurologic impairment compared to their littermate controls. Exacerbated EAE susceptibility in B-TGF-β1-/- mice was associated with augmented CNS T helper (Th)1/17 responses. Moreover, selective B cell TGF-β1-deficiency increased the frequencies and activation of myeloid dendritic cells, potent professional antigen-presenting cells (APCs), suggesting that B cell-derived TGF-β1 can constrain Th1/17 responses through inhibition of APC activity. Collectively our data suggest that B cells can down-regulate the function of APCs, and in turn encephalitogenic Th1/17 responses, via TGF-β1, findings that may be relevant to B cell-targeted therapies. In the ocrelizumab-era we are re-inventing the B cells to all things great, we have had T cell regulators but now B cell regulators are making a comeback. Many years ago they asked what was controlling the severity of disease and on answer that came back was transforming growth factor beta. They knocked it out of mice and disease got worse and in this study they reduced this down to knocking it out of B cells and disease got worse. It did this by apparently increasing dendritic cells that are good at presenting antigen to T cell, So it indicates that B cells can contol Th1 and Th17 cells. So there are B cell regulators. We know that depleting some B cells can make MS worse but likewise we know that depleting CD20 B cells improves MS.
Is the answer to give transforming growth factor, well the answer is to this well no, unless you are clever about how you do it. We know that cytokines are pleiotrophic meaning they have more than one effect depending on which cell type it interacts with. Transforming growth factor is made as a inactive molecule and has a latent cap on the active site and this becomes cleaved in regions where it is wanted e.g. in response to changes in acidity, to become active. After a few mouse experiments where they gave the active transforming growth factor and it inhibited EAE in a few days so off to MS and oops, they forgot that transforming growth factor also causes fibroblasts to grow and so will cause kidney fibrosis which is what happened and the studies were stopped. So historically you would knock the gene out of every cell and now people are knocking genes out of individual cell types to address issues, so a lot more are going to get made. (b) Because of (a) people argue that there are less severe model systems to address fundamental immunology issues that don’t require animals to suffer as much. So the government is not going to support this on a 3Rs basis, so this type of worse goes West and East, were the 3Rs is not a central issue in research using animals. However conditional knockout animals can be used to tell us a lot about biology and we have for the publication of the B cell selective gene (TIGIT) knockout that now causes spontaneous autoimmune disease of the CNS, I saw it presented last week…watch this space. In the paper above they augmented dendritic cell function and things got worse but it is not that simple. In another study they depleted dendritic cells and rather than getting no disease, as I would have guessed, they got worse disease because B cells became the antigen presenting cells but did not generate regulatory T cells. Paterka M, Voss JO, Werr J, Reuter E, Franck S, Leuenberger T, Herz J, Radbruch H, Bopp T, Siffrin V, Zipp F.Dendritic cells tip the balance towards induction of regulatory T cells upon priming in experimental autoimmune encephalomyelitis.J Autoimmun. 2016. pii: S0896-8411(16)30155-X. 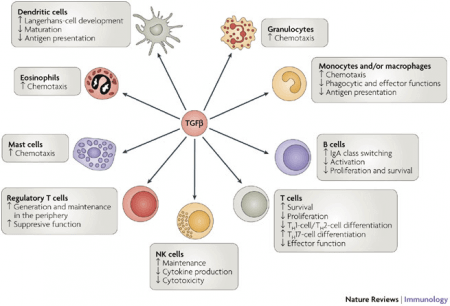 Counter-balancing regulatory mechanisms, such as the induction of regulatory T cells (Treg), limit the effects of autoimmune attack in neuroinflammation. However, the role of dendritic cells (DCs) as the most powerful antigen-presenting cells, which are intriguing therapeutic targets in this context, is not fully understood. Here, we demonstrate that conditional ablation of DCs during the priming phase of myelin-specific T cells in experimental autoimmune encephalomyelitis (EAE) selectively aborts inducible Treg (iTreg) induction, whereas generation of T helper (Th)1/17 cells is unaltered. DCs facilitate iTreg induction by creating a milieu with high levels of interleukin (IL)-2 due to a strong proliferative response. In the absence of DCs, B cells take over priming of Th17 cells in the place of antigen-presenting cells (APCs), but not the induction of iTreg, thus leading to unregulated, severe autoimmunity. How do to the two papers reconcile each other (a) More DC function and disease worse (b) No DC and disease worse. So the role of the main action would be of dendritic cells and not T and B cells? Could this be because the dendritic cells phagocytose the antigens and present them to other immune cells? So find out what they are phagocytizes would be a good research?